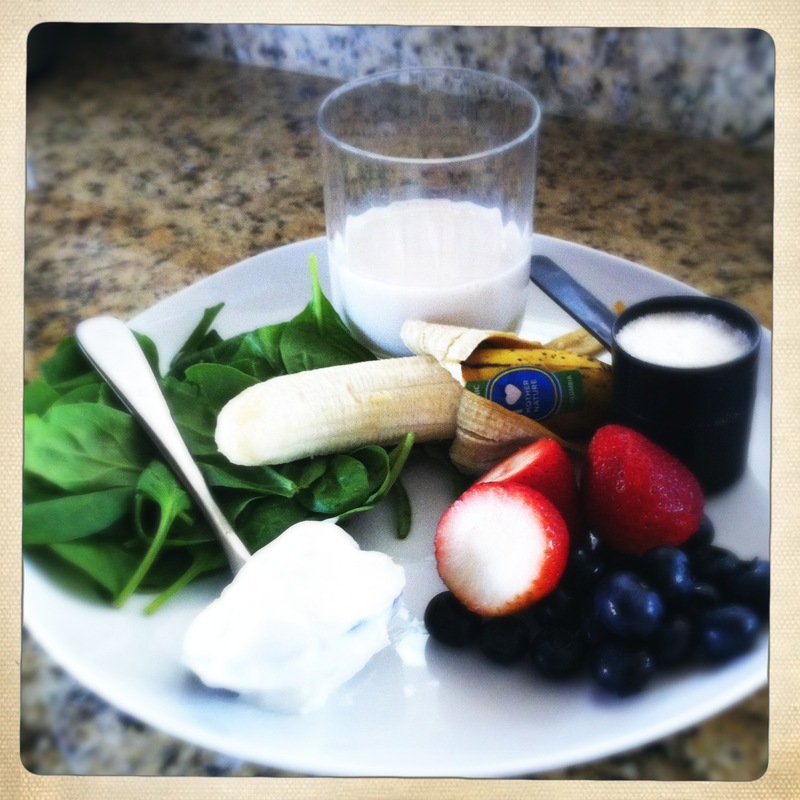 Making a protein shake shouldn’t require as much effort as the workout prior did. 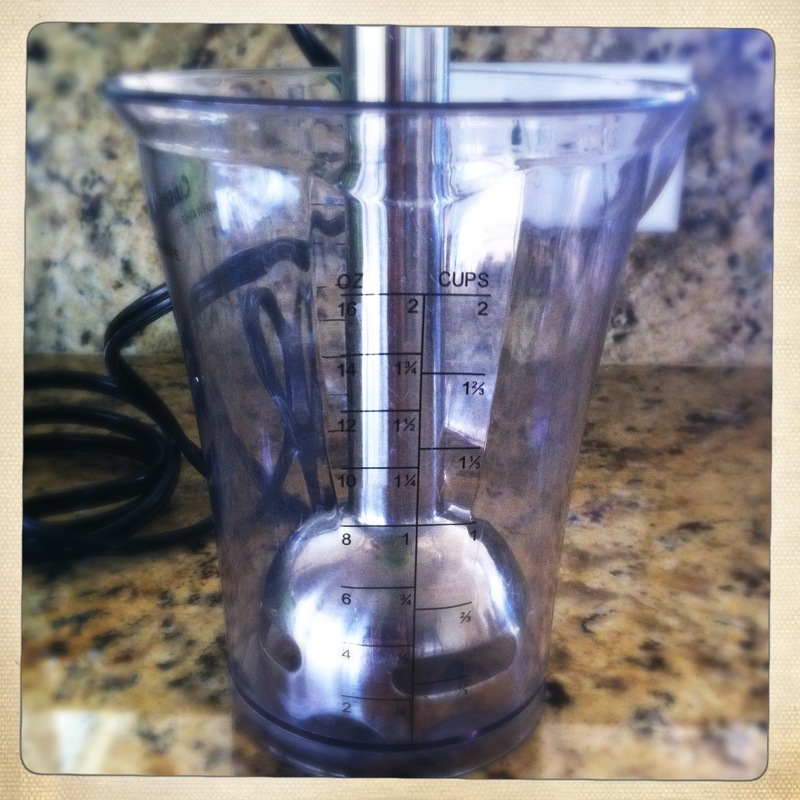 It doesn’t have to be a messy endeavor and there is no need for a giant blender. Not if you have the Cuisinart Smart Stick! Okay, so infomercials obviously annoy me, but that isn’t the point! The point is that this little machine (which doesn’t really cost $100, but rather about $35), is amazing! I use it every day after my workouts. In fact, it has kind of become my motivation to workout. Thirty minutes of suffering in the gym is totally worth it when I get to have a shake afterwards. Honestly, it seems like a lot more work than it actually is. The steps are excruciatingly simple. I did a photo documentation to prove it to you! 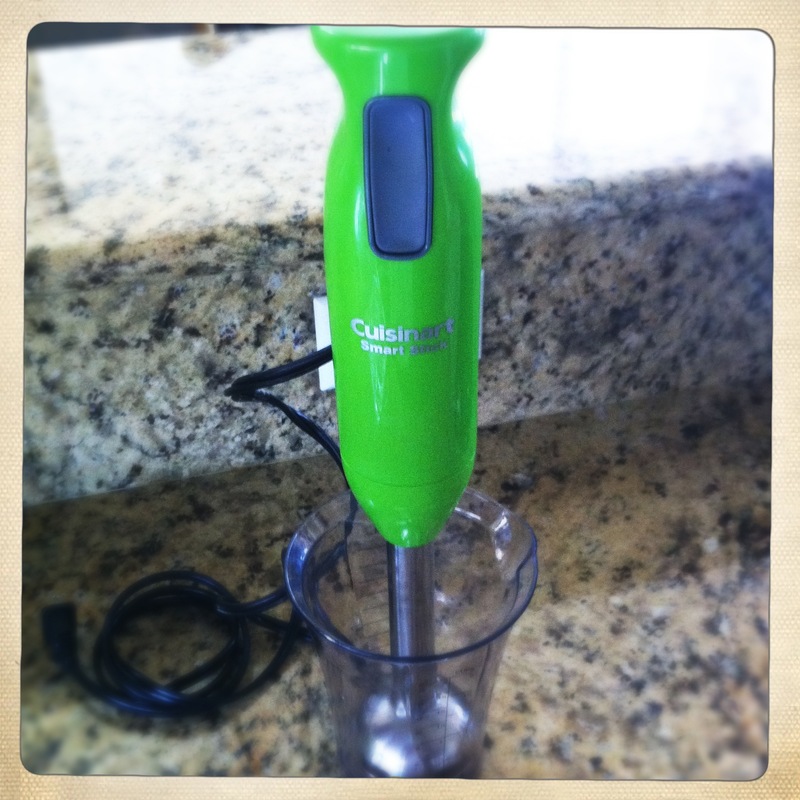 The Cuisinart Smart stick comes with a plastic measuring cup that all the ingredients go directly into. Once all your ingredients are piled in, push them all down with the blending stick itself and push the button on the stick until everything is blended to your desired consistency. This next picture is about halfway done…unless you like super chunky shakes! 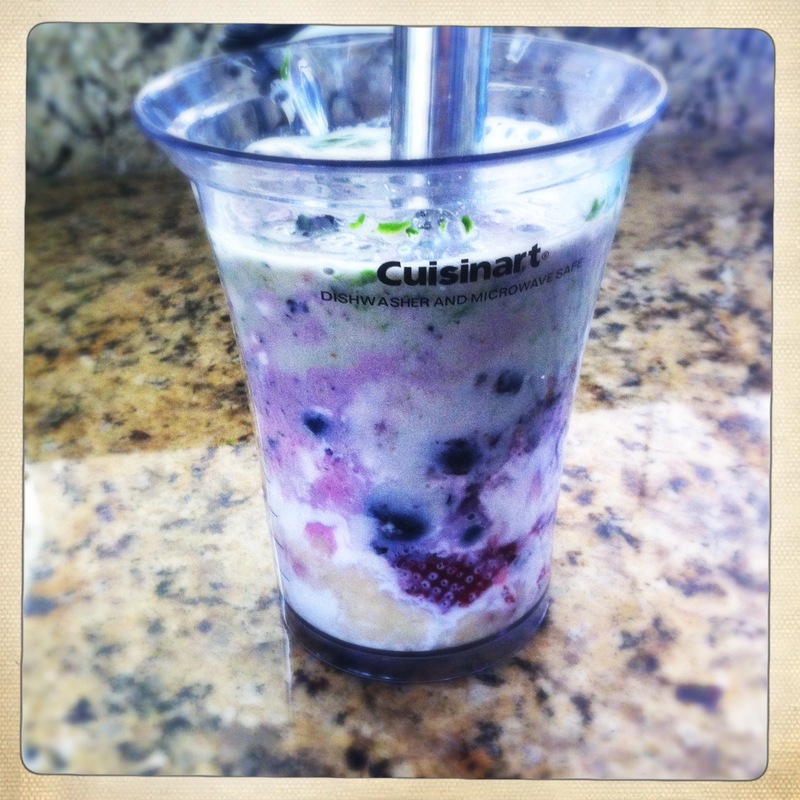 In about 1 minute, voilà, you have a delicious protein shake! It typically fills the entire measuring cup, however I shared some of my shake..then drank some of it, so this next picture has quite a bit less shake than usual. Sometimes my kindness is a curse! 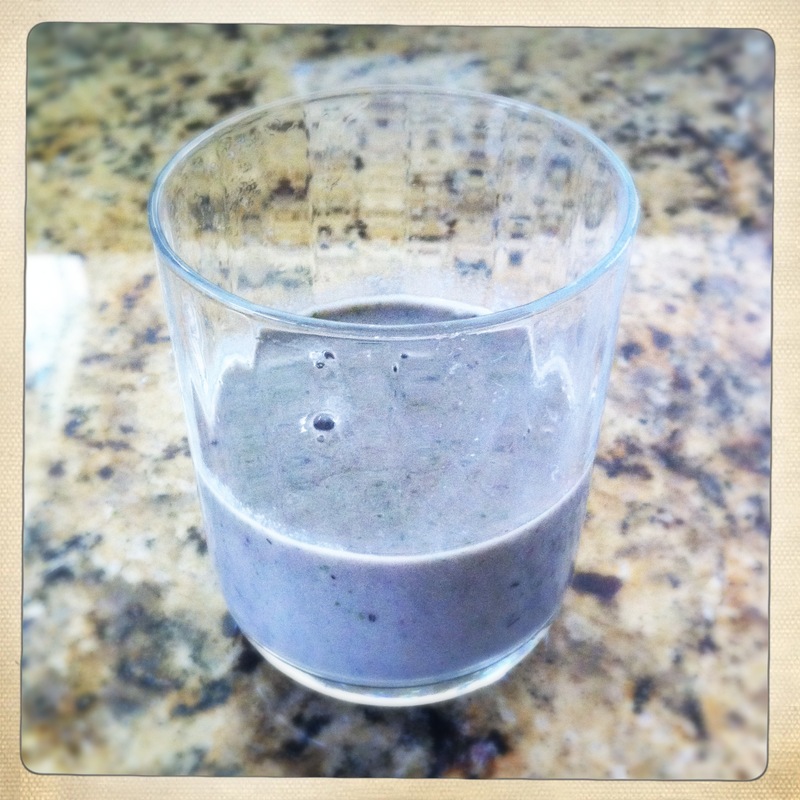 The next shake (peanut butter banana) will have the right amount…I promise! Check out this awesome machine via Amazon, Target, Bed Bath and Beyond, or really anywhere that sells appliances. 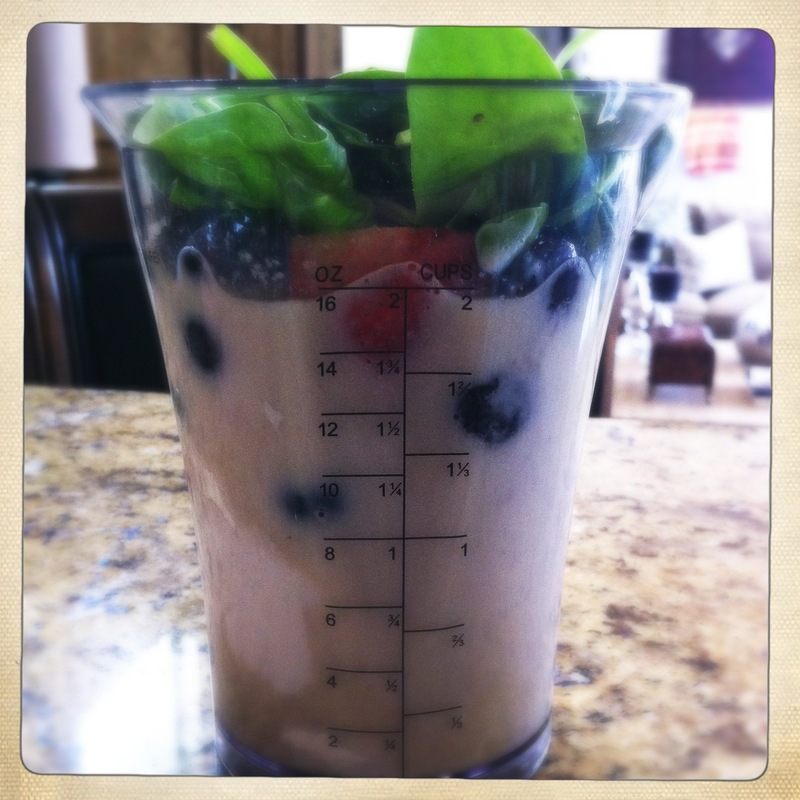 If you’re content with your blender, at least check out this recipe! This entry was posted in Nutrition Facts and Tips, Recipes and tagged cuisinart, fruit, greek yogurt, isolate, protein shake, restaurants, vanilla almond, whey protein. Bookmark the permalink.